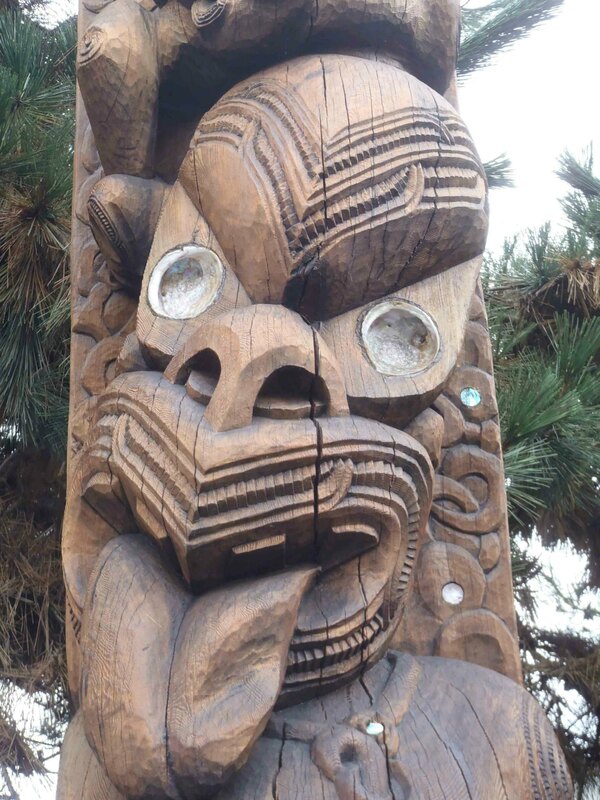 The PouPou Tane Hiira, Pou Karanga pole was carved in 1986 by Maori artist Tupari TeWhata. 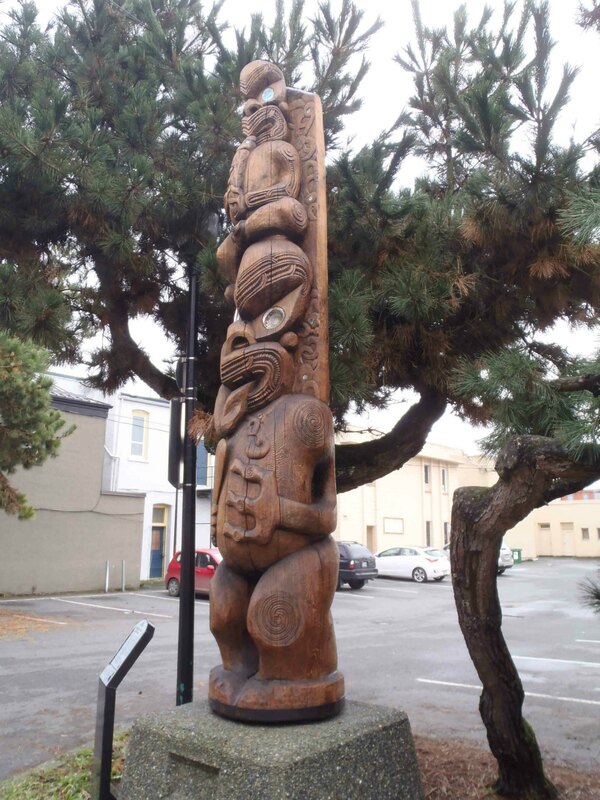 It is 4.0m (13′) high and stands on Kenneth Street between Canada Avenue and Craig Street in downtown Duncan. 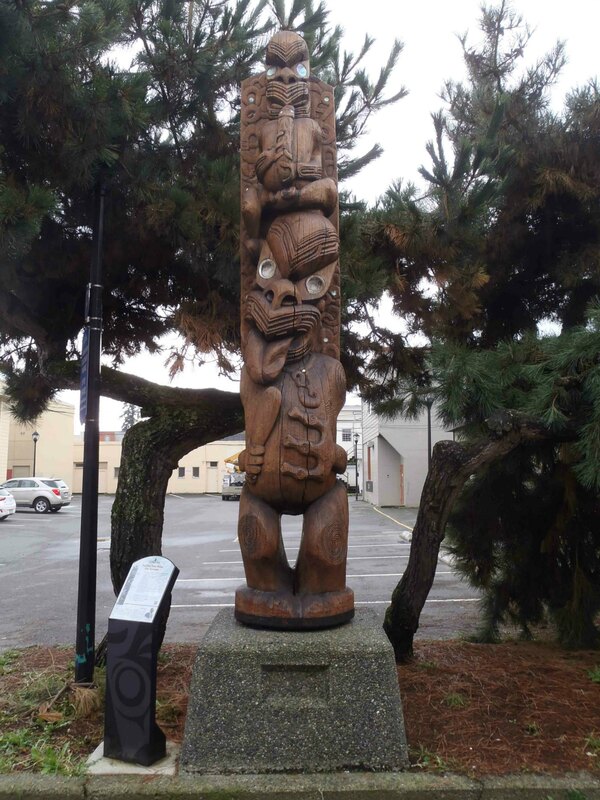 PouPou Tane Hiira Pou Karanga, Kenneth Street, Duncan, B.C. 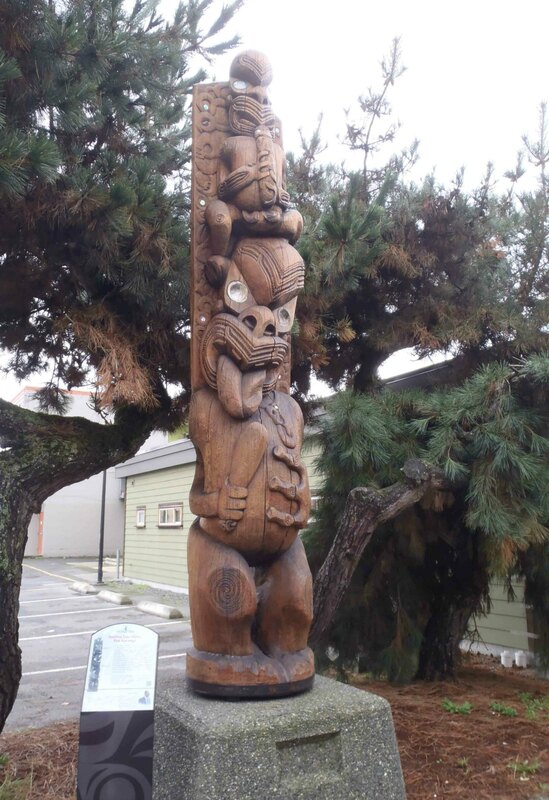 This pole consists of two figures: Te Anhio Whio (top figure) and Tane Hiira – the King of the Forest (bottom figure). “Tane Hiira’s tongue tells us he is a great orator of wit, comedy and knowledge. The tongue tells us of a man’s status, character and talents. 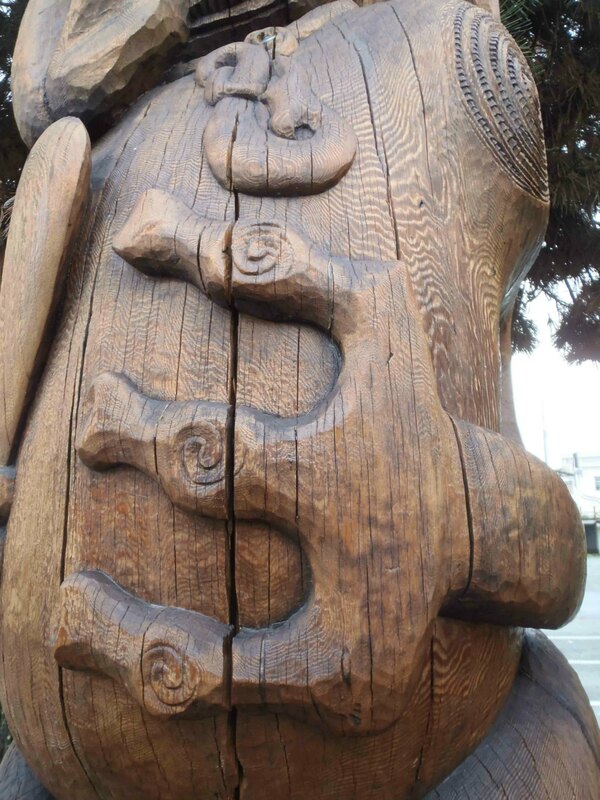 The pendant in the shape of a fish hook is a good luck charm.” – carver Te Anhio Whio. “…Three fingers signifies three baskets of knowledge: etiquette and protocol; creating of Heaven and Earth; spiritual knowledge. 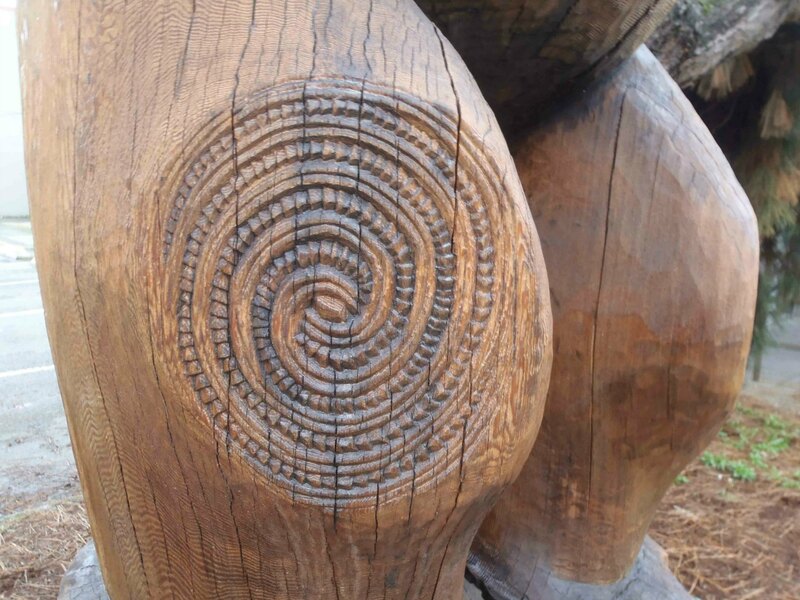 The size of his hand and fingers signifies strength.” – carver Te Anhio Whio.